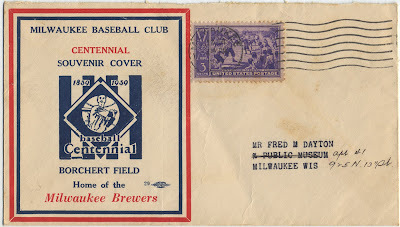 Borchert Field: Happy 100th, Baseball! 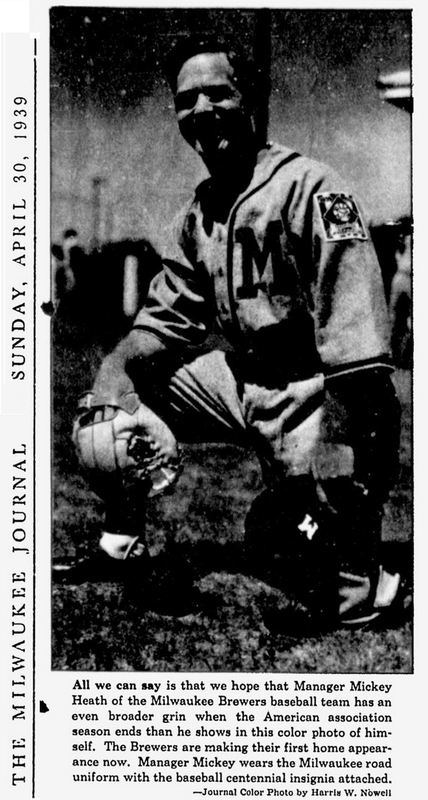 In 1939, baseball celebrated the 100th anniversary of its founding by Abner Doubleday in an upstate New York cow pasture in 1839. That birthday was celebrated (as such special events aften are) with pomp, circumstance... and a logo. And not just a logo, but a patch. For the first time since the founding of the sport, all clubs wore the same patch on their sleeves. This wasn't limited to the 16 clubs in the majors; teams at all levels of organized baseball wore this patch during the 1939 season. Although this seems commonplace today, it was groundbreaking at the time, as the separate and competing franchises all came together to recognize their shared heritage. The Centennial was marked by the opening of the National Baseball Hall of Fame in Cooperstown, New York. The location was chosen based on the report of a committee which in 1905 was charted to research the game's origin. Based on what appears to be little more than local hearsay, they decided that the game had been founded there by a young man who would go on to become a Civil War hero, Major General Abner Doubleday. 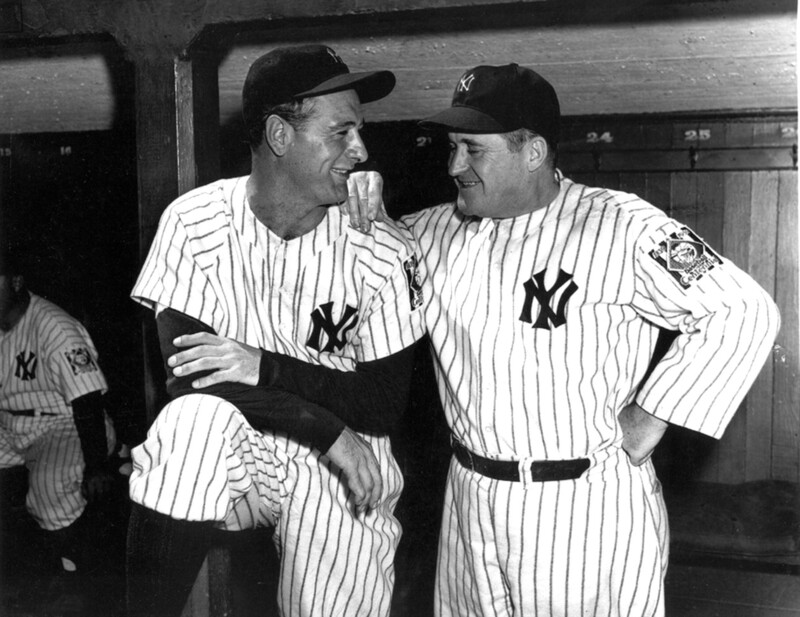 The Hall of Fame chose an inaugural class of five, the finest sportsmen the game had to offer: Ty Cobb, Walter Johnson, Christy Mathewson, Babe Ruth and Honus Wagner. COOPERSTOWN, N.Y.—Judge Kenesaw Mountain Landis, High Commissioner of baseball, is shown, right, as he buys the first baseball centennial stamp from postmaster-general James Farley at Cooperstown, N.Y., as baseball's centennial was celebrated today, June 18th. Looking on, center, is Ford Frick, president of the National Baseball League. 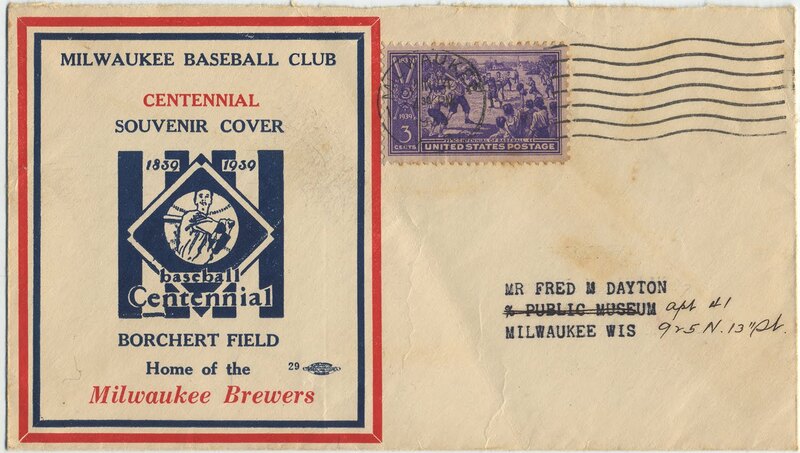 The stamp is the first baseball postage stamp ever issued by the government. 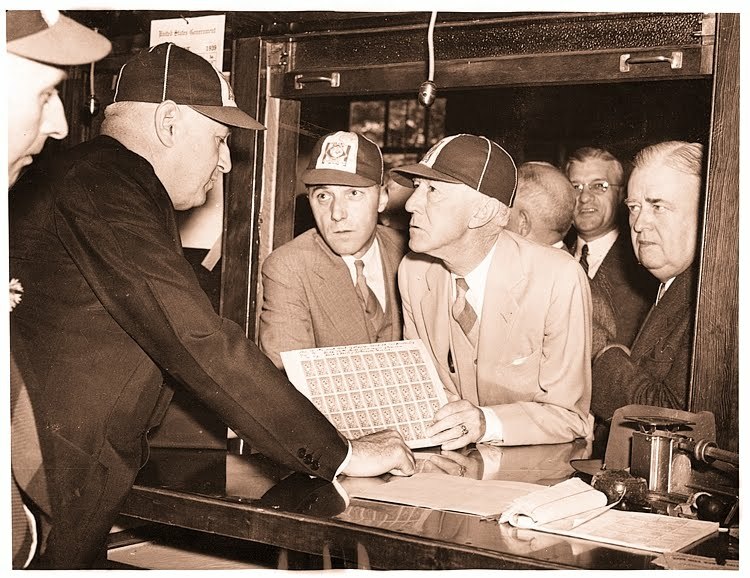 After buying the stamp, Commissioner Landis dedicated the National Baseball Museum and Hall of Fame. 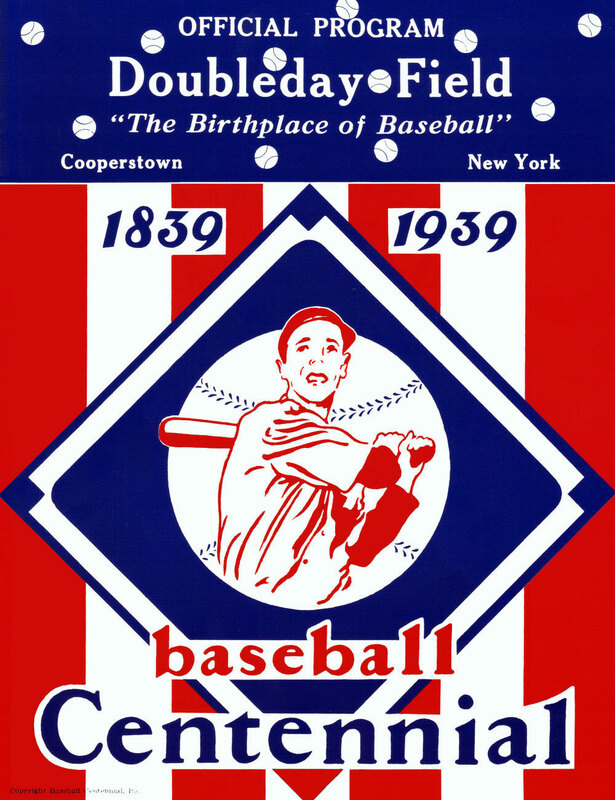 Abner Doubleday invented baseball in 1839 at Cooperstown. I love those Centennial caps. Outstanding. 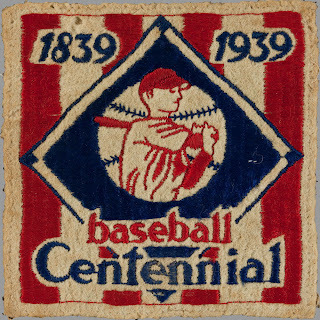 Although the entire story behind the Centennial was almost certainly made out of whole cloth (Doubleday's connection to the game wasn't even suggested until 1907, a decade and a half after his death), the celebration remains a wonderful example of how baseball values its history.